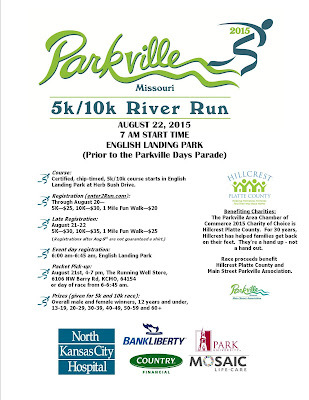 When: Saturday, August 22, 2015 at 7 a.m.
Join us as we kick off Parkville Days Parade with our 5k/10k River Run. This walk/run will take place in English Landing Park and Platte Landing Park. Finish in time to watch the Parkville Days Parade! 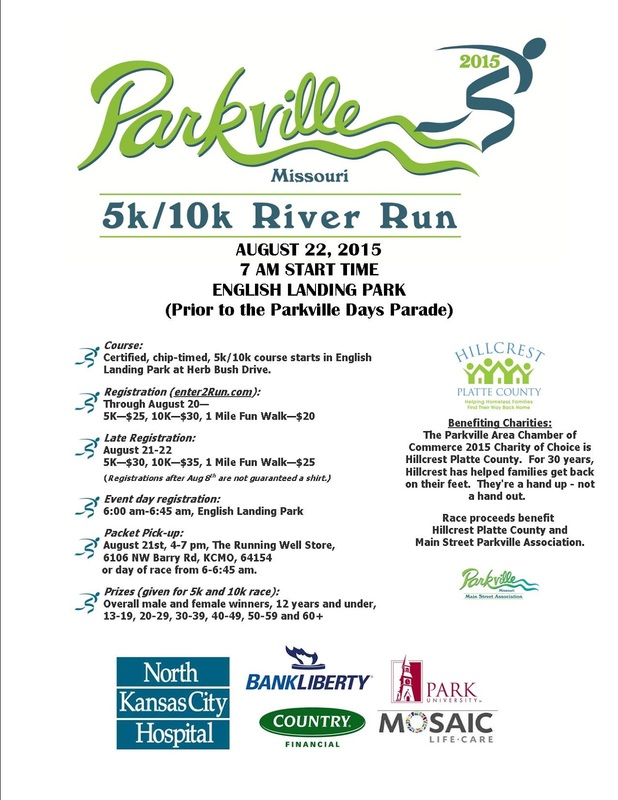 One of Parkville’s biggest festivals, the annual Parkville Days offers great family entertainment and fun in historic Downtown Parkville. Visit ParkvilleMo.org for more information about Parkville Days. First 200 registered guaranteed goodie bag and t-shirt.